This colt is all SPEED! His sire, Deep Field is one of the fastest sprinters we have seen at stud in recent times and his dam sire, Fastnet Rock has been responsible for producing some of Australia's best sprinters. 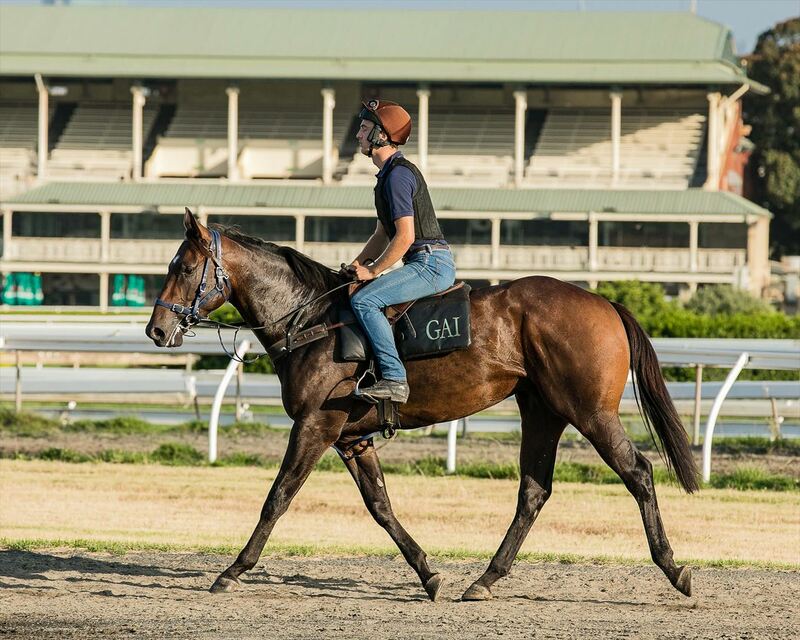 We expect to see him early in his two-year-old career. DISCLOSURE, by Fastnet Rock. 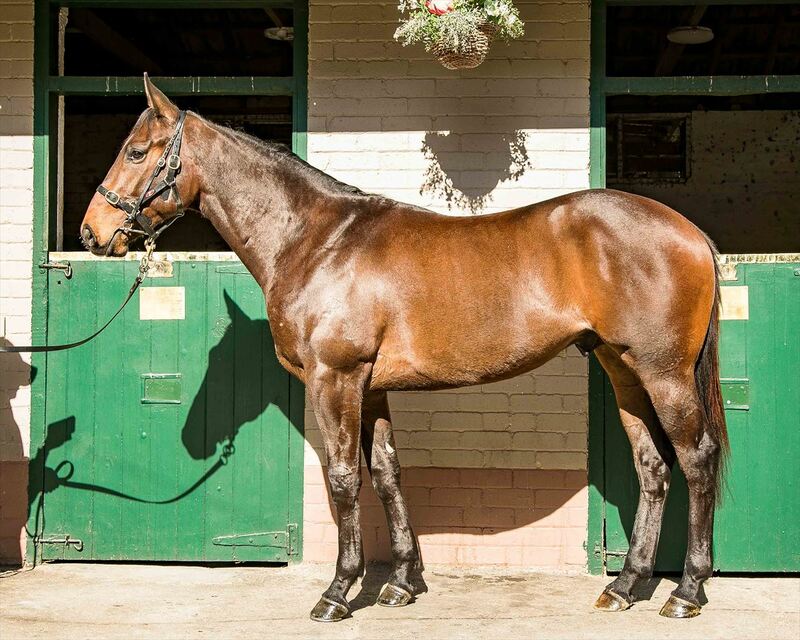 Placed at 3, 3d ATC McGrath Estate Agents Wayne Vaughan P. Half-sister to My Sweet Cookie. This is her first foal. 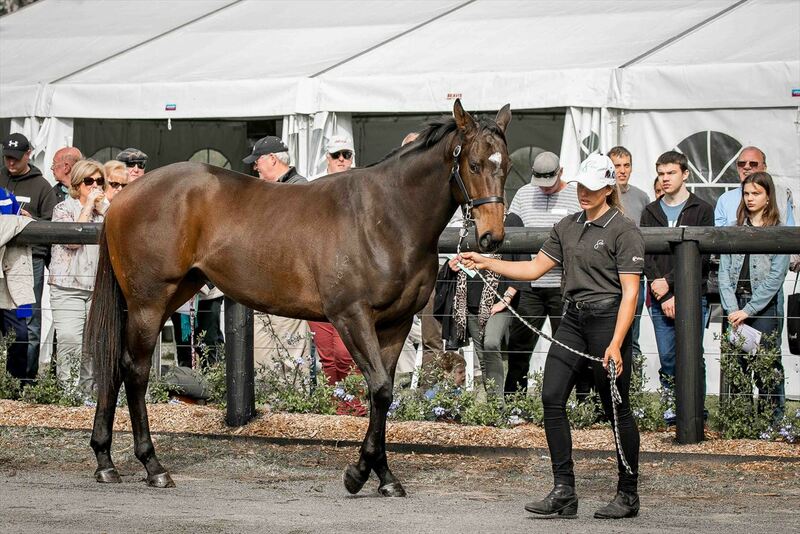 My Sweet Cookie (g Hussonet) 5 wins to 1500m, A$232,400, AJC Cargo Bar H., STC Jacob's Creek Sparkling H., Australian Bridal Show H., 2d Scone Cup, L, STC Marshalls Motors H., AJC Durbridge P., STC Inghams Love'em H., 3d AJC Fernhill H., L, Mr Tiz Welter H., STC Coolmore Welter H., 4th STC Frank Underwood Cup, L.
Dream and Excel. 4 wins to 1200m, STC TJ's Champagne Bar H. Producer. Manzanita. 5 wins from 1200m to 1800m, 2d ATC Freddy McGlynn Farewell H., 3d ATC McNamee Constructions H.
Grand Challenge (c Not a Single Doubt) Winner at 2 in 2017-18, 3d MVRC Inglis Banner 2YO S., L.
MISS DANEHILL (f Danehill) 5 wins from 1300m to 2400m, A$362,330, Queensland Oaks, Gr.1, MVRC Guerlain H., Berri Fruits H., Malcolm Johnston H., 2d AJC Colin Stephen H., Gr.3, MVRC William Inglis & Son H., VRC Flemington Summer H., VATC Health Research Fund H., Midnight Fever 2YO H., MVRC Gazette H., 3d MVRC Strathayr H., 4th AJC Metropolitan H., Gr.1. Producer. 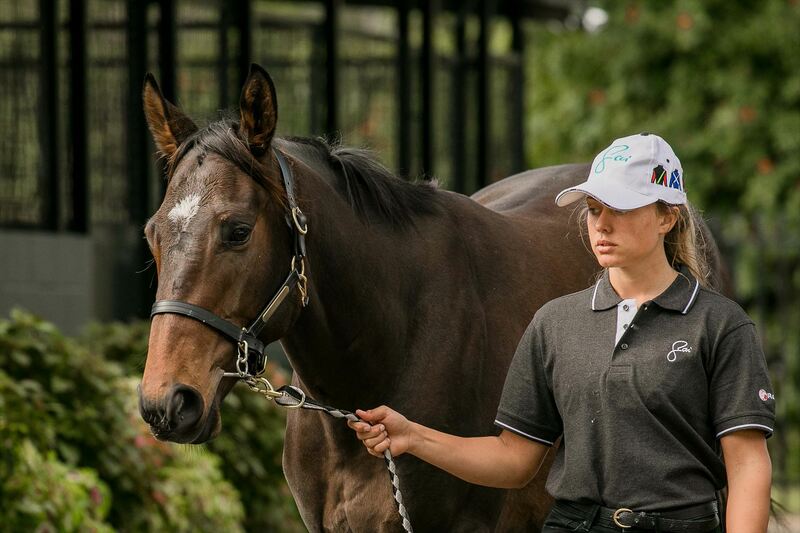 PENTASTIC (c Pentire) 7 wins from 1200m to 2400m, A$1,991,800, VRC Craiglee S., Gr.2, QTC PJ O'Shea S., Gr.2, AJC Japan Racing Association P., L, MRC Naturalism S., L, VRC Riverdale H., Fire Oak H., 2d AJC Queen Elizabeth S., Gr.1, VRC LKS Mackinnon S., Gr.1, BTC Doomben Cup, Gr.1, QTC Brisbane Cup, Gr.1, STC Canterbury Guineas, Gr.1, VRC Turnbull S., Gr.2, 3d AJC Queen Elizabeth S., Gr.1, Australian Derby, Gr.1, Victoria Derby, Gr.1, STC Rosehill Guineas, Gr.1, GCTC AD Hollindale S., Gr.2, MRC M&S Transport Welter H., 4th VRC Melbourne Cup, Gr.1, Australian Cup, Gr.1, MRC Underwood S., Gr.1, St George S., Gr.2, VRC Bobbie Lewis H., Gr.3, Geelong RC Derby Trial S., L.
POINT MADE (g Red Ransom) 3 wins from 1700m to 2100m, A$175,275, QTC Peter Gallagher S., L, VRC Gary Crane & Simon Stoker H., 2d MRC Melbourne Racing Club Members 2YO H., VRC Baystone H., BTC Abigroup H., 3d MRC Tango Miss 2YO H., QTC Hahn Super Dry H., Lyndhurst Stud H., 4th MRC Norman Robinson S., Gr.3. READYTOGORIGHTNOW (g More Than Ready) 7 wins from 1200m to 1800m, R685,670, Kenilworth Winter Classic, Gr.3, Winter Guineas, Gr.3, Fairview Memorial Mile, L, Kenilworth Pinnacle S., Racing It's a Rush P., 2d Durbanville Aviation Insurance S., 3d Kenilworth Cape Classic, Gr.3, Fairview Racing It's a Rush S., 4th Greyville Champions Cup, Gr.1, Clairwood Cup Trial, Gr.3, Kenilworth Jet Master S., L.
PRIMUS (c Flying Spur) Joint third on The 2005-06 Australasian 3YO Classification (intermediate). 4 wins to 1400m, A$524,780, NSW Tatt's RC Tramway H., Gr.3, AJC Show County H., L, NSW Tatt's RC Ming Dynasty H., L, STC Tooheys New H., 2d AJC Stan Fox S., Gr.2, 3d AJC Canterbury Guineas, Gr.1, MRC Caulfield Guineas, Gr.1, STC Rosehill Guineas, Gr.1, Expressway S., Gr.2, Michael Hansell Signs H., 4th Australian Derby, Gr.1, STC Apollo S., Gr.2. Sire.